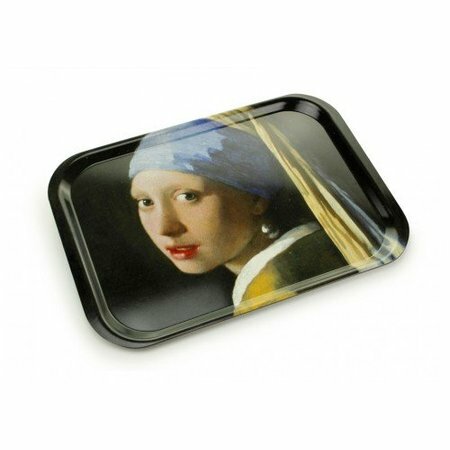 Unbreakable 'Dutch porcelain'. This special fabric cabinet set by Piet Design is not only historically justified, but also a decorative, unbreakable and harmless cone game. 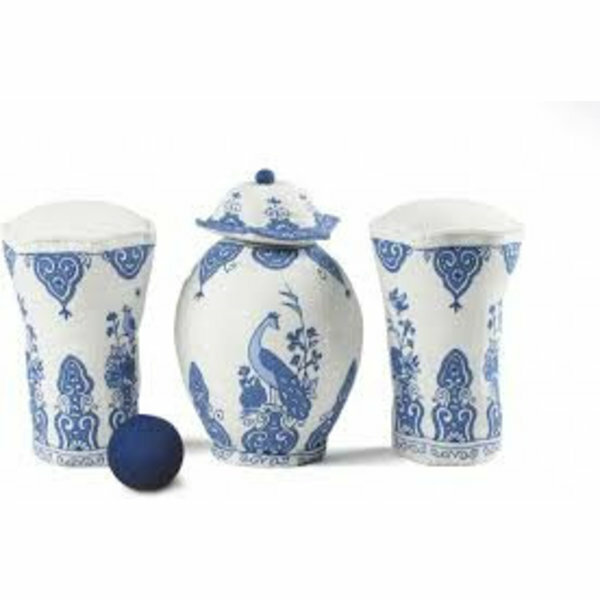 Each set contains a ball vase with lid, two beaker vases and a ball. 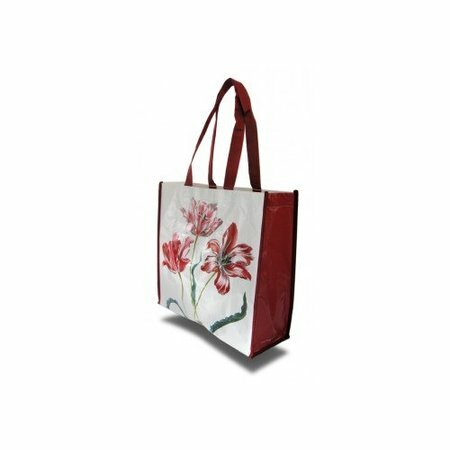 Packed in handy transparent bag with zipper. A cabinet set is a set of vases that was displayed on a cupboard for decoration. The number of vases in such a set is always odd and usually cup and ball vases are used. A ball vase with lid was always in the middle. 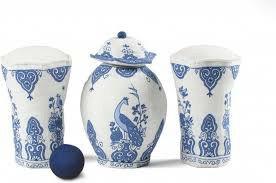 Originals consisted of imported Chinese altar vases, but in the seventeenth century, like so many other popular blue / white Chinese pottery, they were recreated in Delft. At first the Dutch vases were still painted with Chinese motifs, later the Delft painters introduced their own designs and the closets were given a more European appearance. Height of the ball vase: 22 cm. Height of the beaker vase: 17 cm. I've ordered this as a toy for a baby. The quality is nice, there's a bell inside and it feels very soft to handle. Recommended!